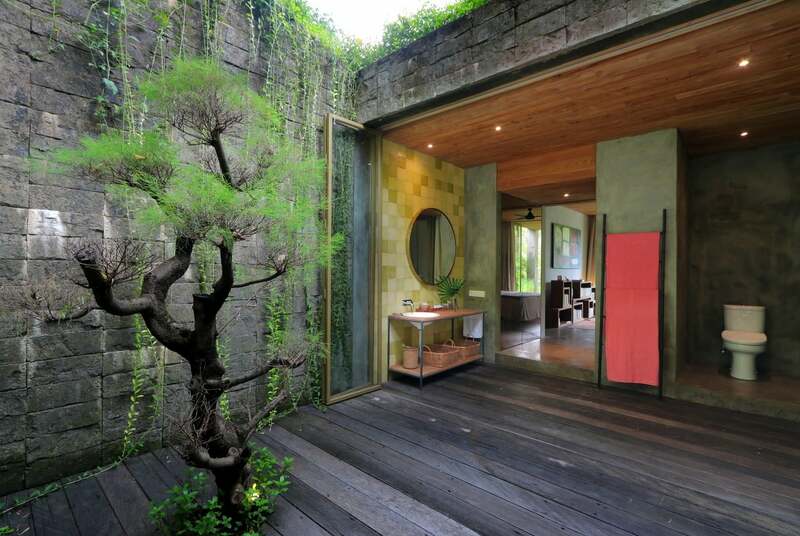 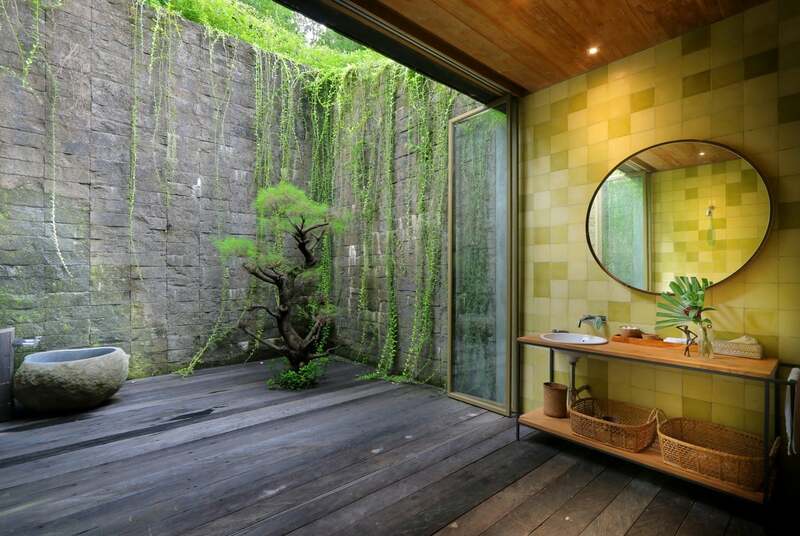 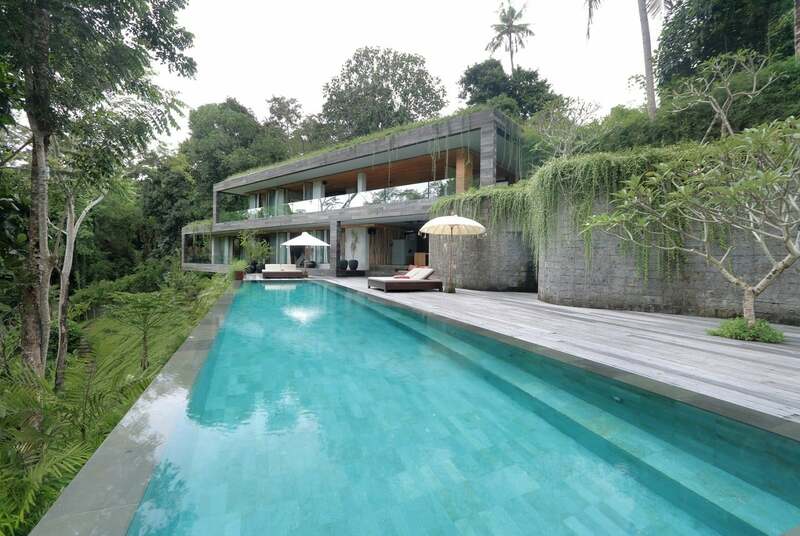 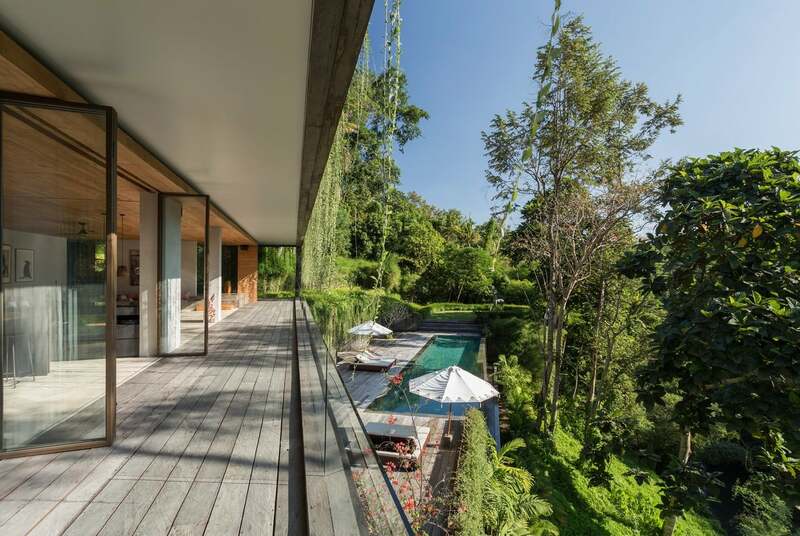 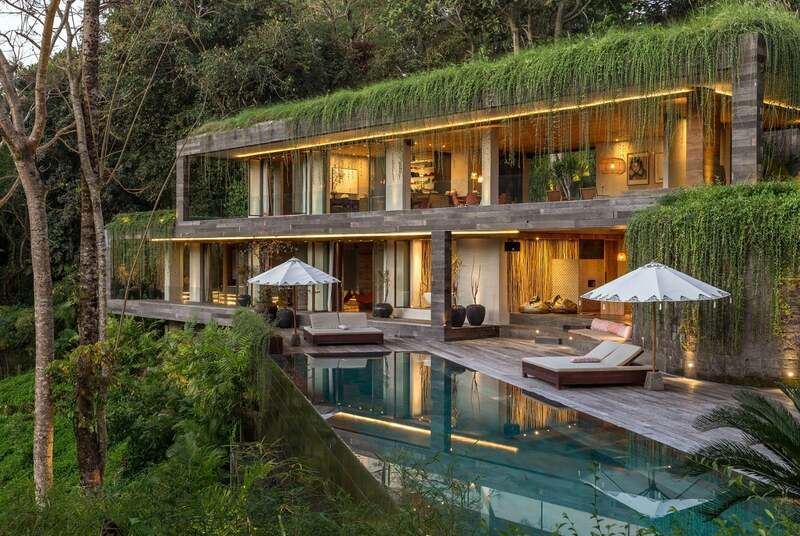 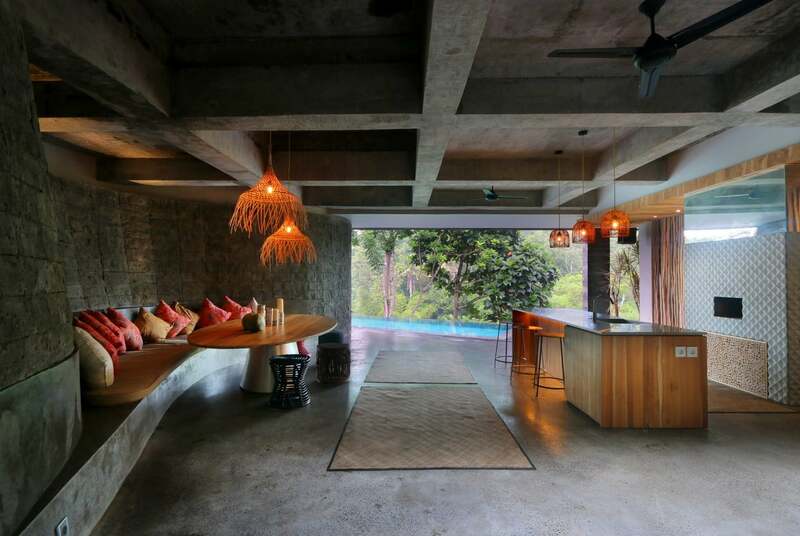 Nestled in a lush natural paradise on the southwest coastal area of Bali, the Chameleon Villa is a spectacular getaway that blurs the boundaries between natural and man-built habitats. 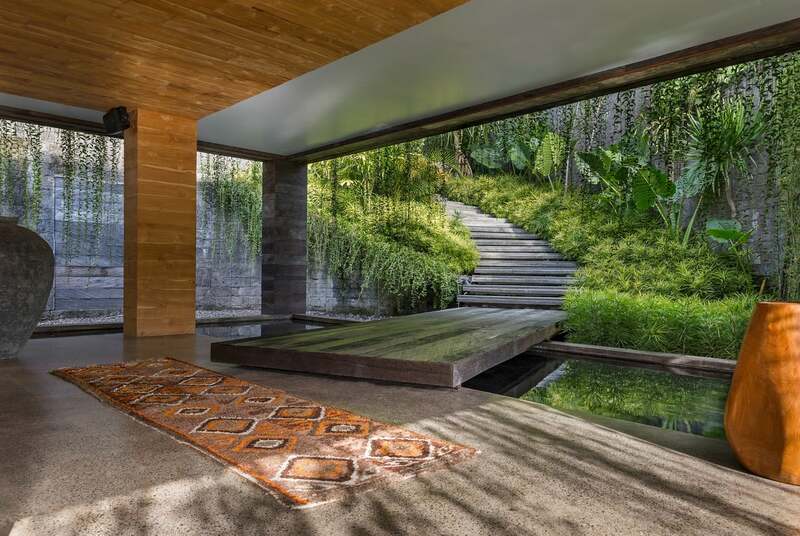 The dwelling is comprised of various pavilions that seem to disappear within–or emerge from–the beautiful surrounding landscape. 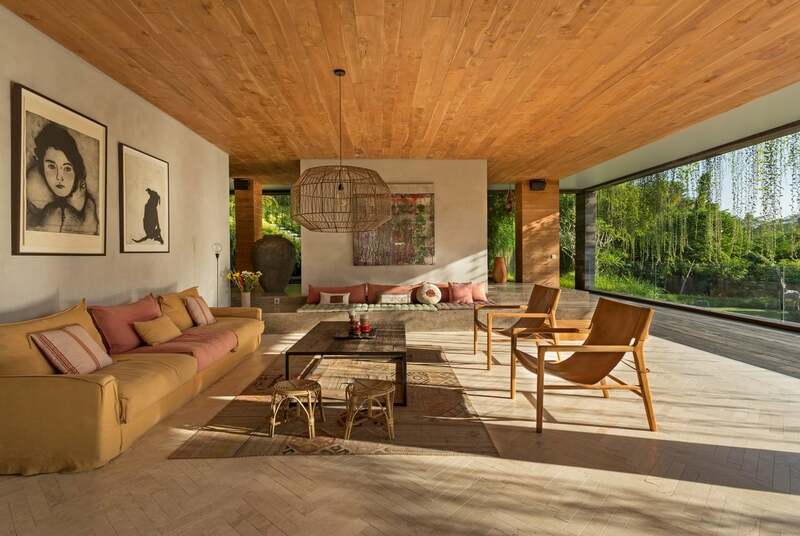 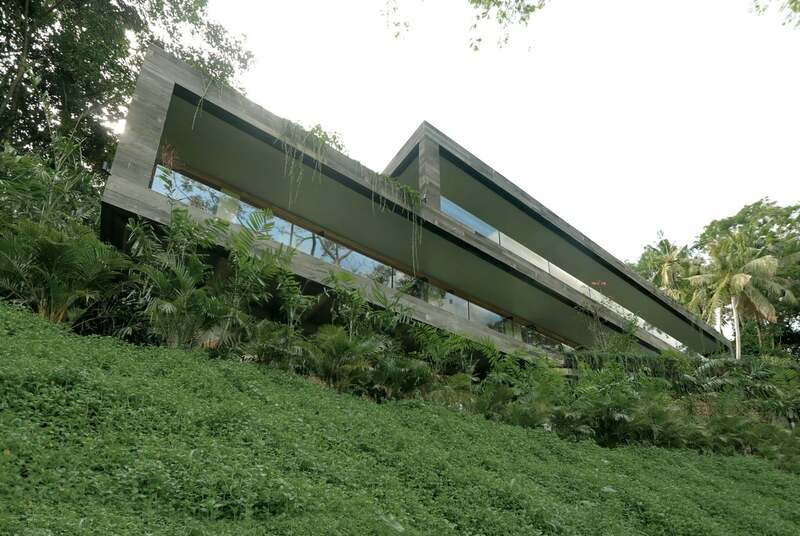 Constructed on an acre of land, on a steep slope with a 36-foot difference of level between the arrival area and the gardens below, the residence overlooks a dense forest and a calm river that runs the western length of the property. 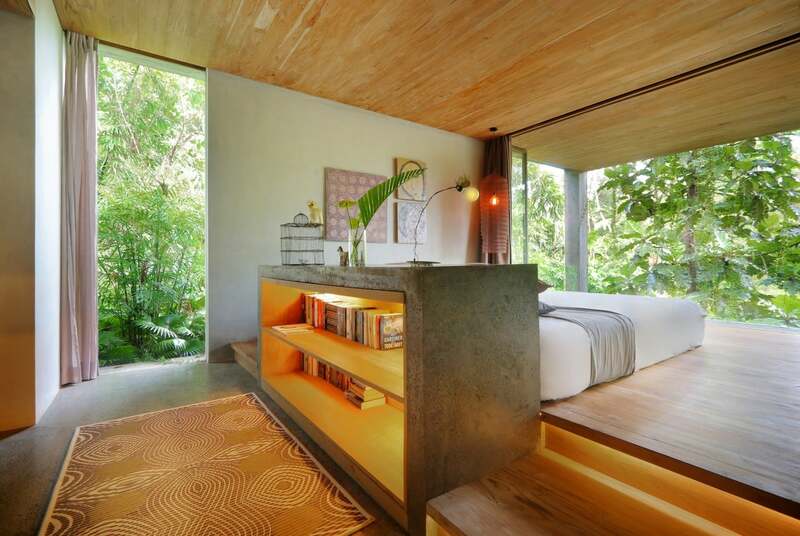 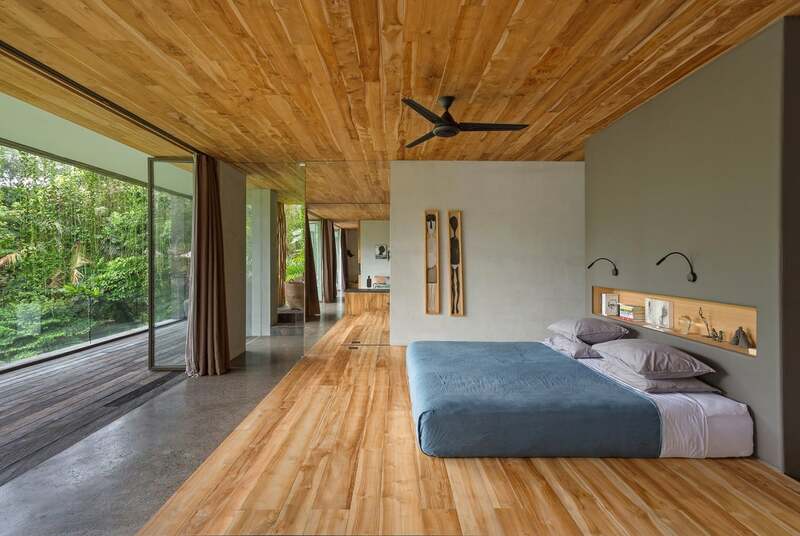 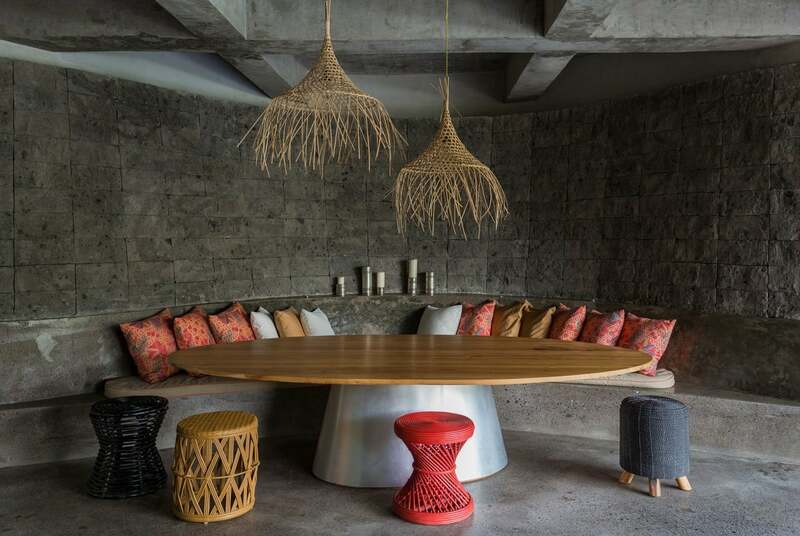 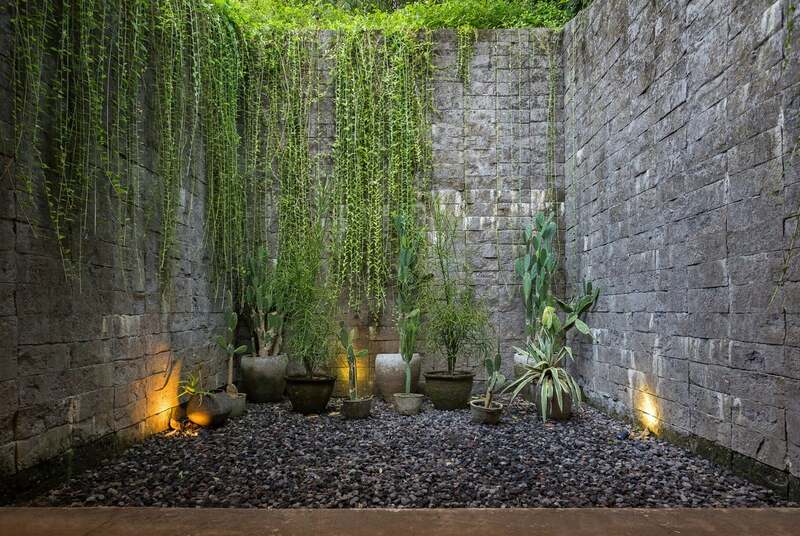 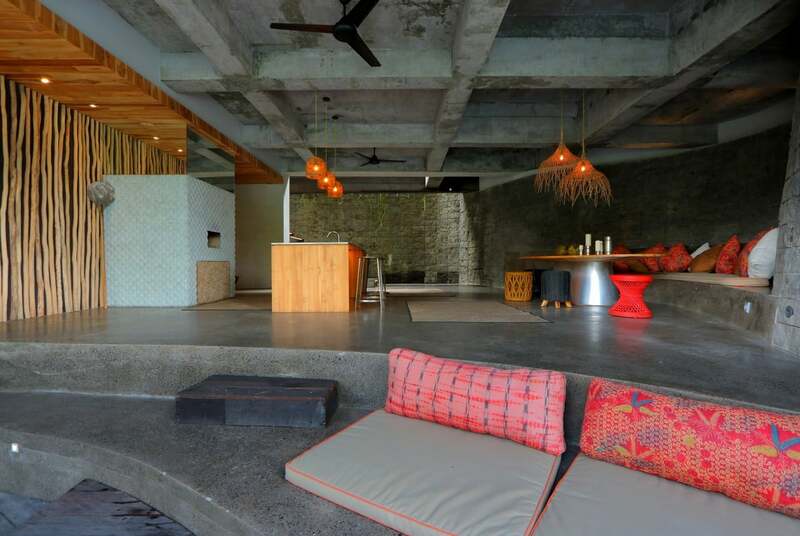 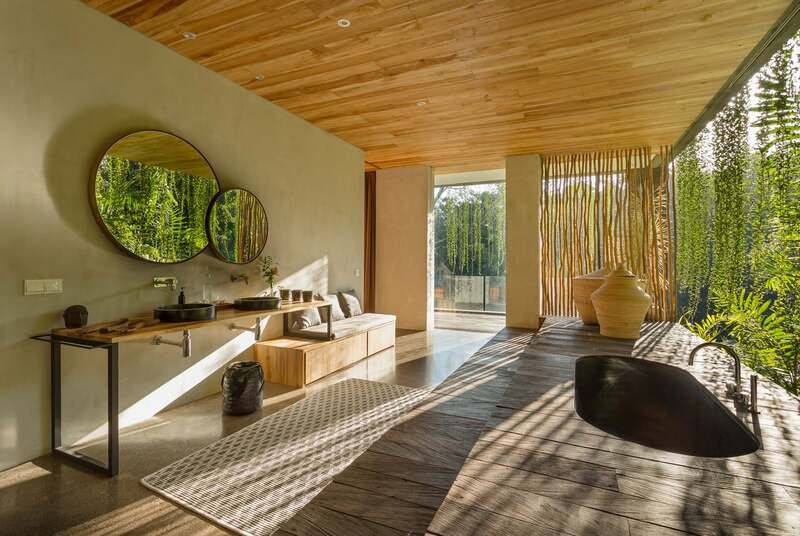 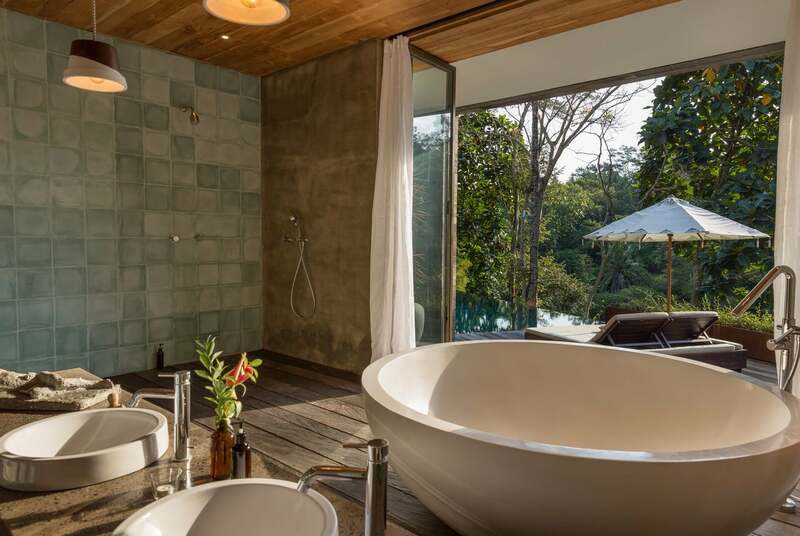 Following traditional Balinese architecture, the communal spaces are laid out to offer a connection with the elements whereas the sleeping areas and bathrooms are kept more private. 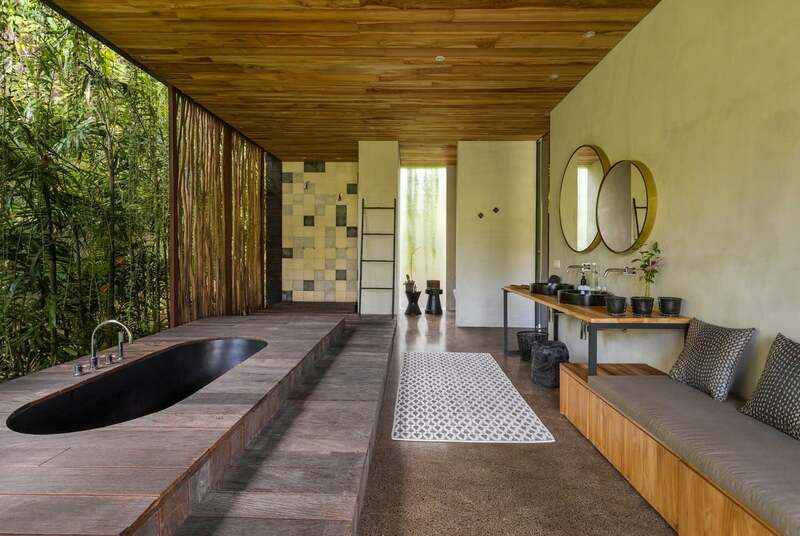 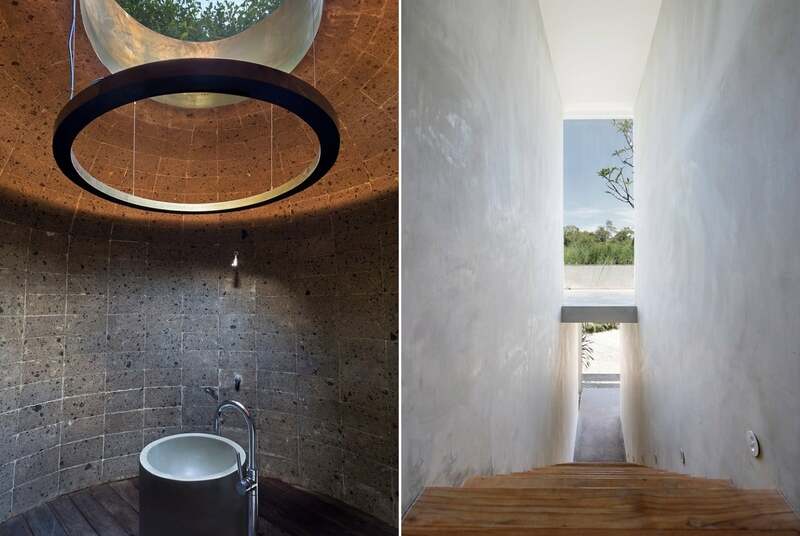 Helping to maintain the home’s carbon footprint at a minimum, ‘camouflaged’ roofs provide passive cooling and collect rainwater, while solar panels produce electricity and the interiors make use of natural, locally-sourced materials.